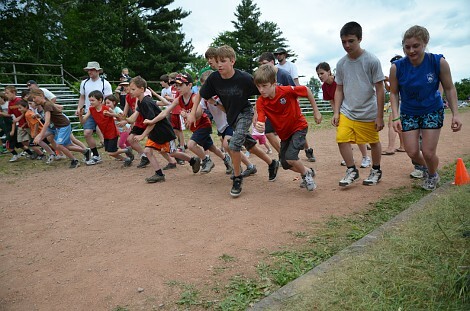 We recently participated in the local homeschool trackmeet. B10 had a successful and enjoyable day as did the girls. The track isn’t quite up to the standard of the tracks A14 has been training on but it did the job. The meet includes several sprints, long jump, standing broad jump and shotput followed by 4×100 relays and an all age 800m. All the children did all the events and were a little weary at the end. 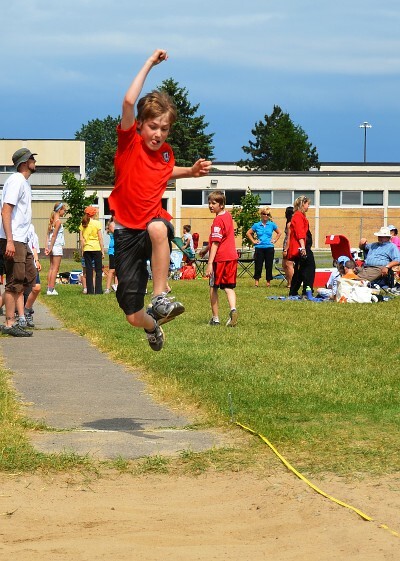 This entry was posted in Homeschooling, Sport on June 30, 2011 by Heather. Congratulations to B10 upon his successes at the athletics. Great action photographs speak well for the new camera and for the photographer. They will go into my collection and surely one will be on the frig for a time. B10 has a fine jumping action and the angle of the tongue suggests that there may be a champion in the making.